Meet The Pastor - Welcome to Community Church of Praise! In 1990 God put my wife Betsy and I together for just such a time as this. He had plans for our lives that we knew nothing about. In 2005, God began dealing with us to step out of the comfort zone that we were in working within our home church. Not knowing where, when, what or how God moved us out of that zone right through a door that only he opened. Through prayer and fasting, God placed us in a 1,200 square foot storefront building that had to be totally finished inside. We had nothing and no way to even begin, but God was building a church!! After a few days we had 9 people wanting to help get the work off the ground and see it prosper. In 5 months the building was complete, furnished and ready for service debt free. In October 2006, CCOP was moving forward following our dedication service in October. God has blessed us over and over because he is faithful to those that are faithful to him. We remained in that building until October 2012 when he opened another door for us to purchase a 20,000 + square foot building on 13 1/2 acres. We are so thankful for all his blessings, but he is God and we are his children. 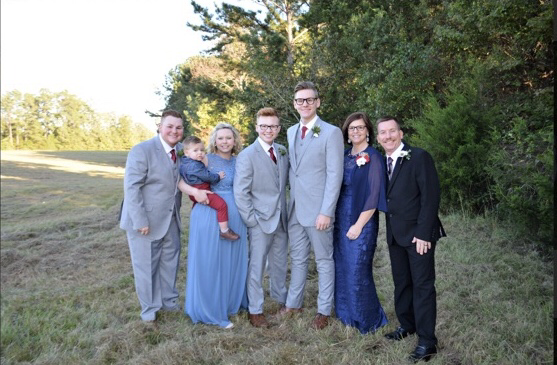 God has blessed us with 3 wonderful boys and two beautiful grandchildren. Jordan is 24 and he works in a local hospital, and is married to his wife Savannah and they have two beautiful children Carter and Hadleigh. Logan is 21 and he still travels and sings all over the country using the talent God has blessed him with. He traveled with the Gaither Homecoming Tour for 5 years and appears on 2 of the Homecoming videos aired on tv. Landan is 20 and is the full time drummer for Jeff & Sheri Easter. He is now married to Morgan which is Jeff and Sheri's daughter. As a family, we all sing and work together for the kingdom of God. We are so blessed to be the pastor's of such a wonderful group of people at CCOP.